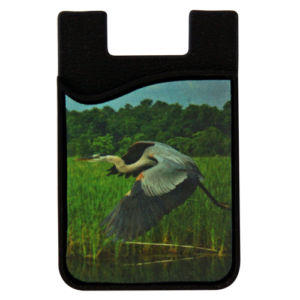 This unique silicone card caddy phone wallet is black and measures about 2.25" x 3.50" The front pouch of the wallet is the right size to hold a few cards or cash securely. Much safer than having those items loose in your pocket. The wallet attaches to your phone using the attached 3M adhesive strip. The printable micro fiber screen cleaner area is 2" x 2.50". 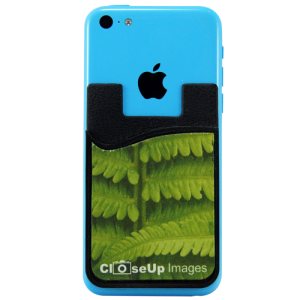 We personalize the screen cleaner with your favorite photo, logo, or text. To use, simply peel off, clean your screen, and return the micro fiber screen cleaner to the exterior of the wallet pouch. What a great gift for family reunions, corporate events, sports teams, birthday, or a holiday stocking stuffer. Please contact us for large quantity discount or ideas on how to use this unique product as a fund raiser. Enter the number of phone wallets you would like with this image.